Plinx is a great mind game puzzle. It's extremely challenging. The objective is to place the boxes to their corresponding shapes. Plinx is a remake of an old dos game called Pinx by William Soleau. 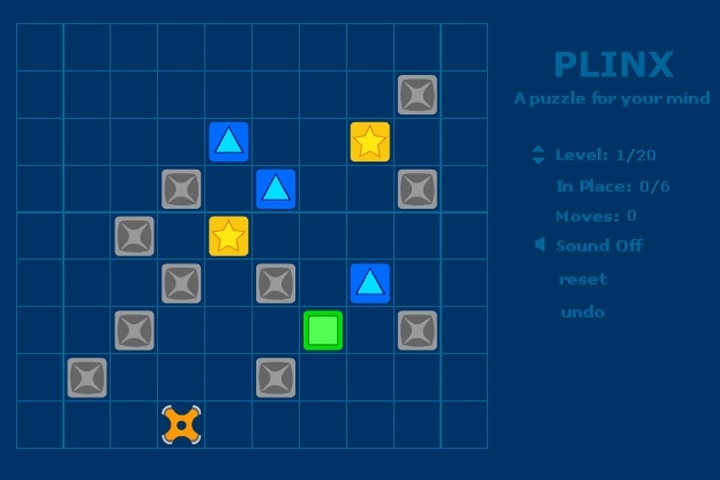 Plinx has 20 fun and challenging levels to play, enjoy. Click undo to undo a move, or reset to reset current level. If you want to play Plinx games online you have come to the right place! GamesLoon adds new Plinx games every week. This is your game portal where you can find the biggest collection of free Plinx games online. Do not forget to rate our Plinx free online games while playing!